When managing a project, it’s easy to get off course and sometimes it’s difficult to know where to begin. In this webinar Ken Yingling, Sales Development Manager at iSqFt, shares insights from his 35+ years of experience in the construction industry. 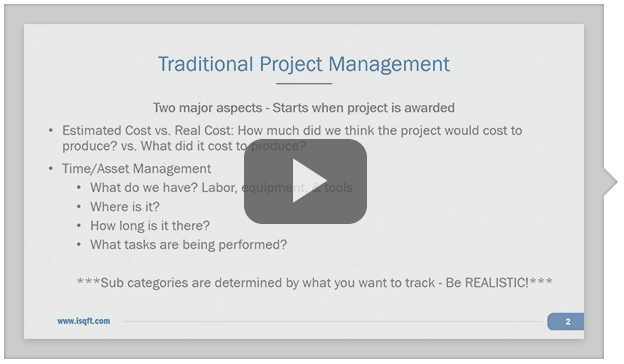 Ken walks through the basics of project management – how to start and tips and tricks he’s learned (sometimes the hard way).